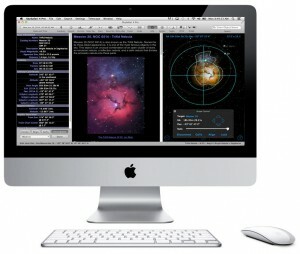 If I were to choose the type of computer to use in any technology I would choose mac because they are the best. I was once a pc user which was simply because I felt it was cheap and I invested too much on pc system but the idea of switching to mac was tempting. It has apps that help one to explore, connect and work. It has more power and takes beautiful photos and stores them for a long time. It is able to store a lot of power that I can utilize all day without charging every now and then. It creates creativity in education and curiosity to know more in classroom environment. They are light to carry anywhere compared to pc. Windows are better on an apple than a pc bringing about a smooth performance since OS X was created allowing apple users to use pc programs on a mac. Apple computers when put into sleep mode they return almost instantly compared to a pc which hangs and goes weird after sometime. There is portability of information as it sets standard for smart devices and are still the best in the market. Even though apple computers cost more but keep value and many people still use them since they are better with a quality material which is an aluminum. There is no need for a driver since it has its own software in the hardware. Operating system got a lot better. Apple computers became professional machines once the OS X came out. Mac computers used mini things which appeared and worked well with everything plugged into it since it worked, functioned and dependable. The biggest reason making windows users have a hard time to switch to a mac is because they have obtained a number of years of window software. « MacBook for a wedding gift? Why not? !